I’ve been watching the Kennedy shows this week and I notice one significant Kennedy effort that never gets mentioned. He was the president to demand that Israel not develop nuclear weapons. This is how the Jerusalem Post described Kennedy’s actions which are inconceivable given the power of the lobby today. When president Kennedy took office in 1961, the disagreement became a full-blown crisis. Like Obama, Kennedy was not inherently hostile (unlike Jimmy Carter), but he did not have a special sympathy for the Jewish people. His advisers urged continuous pressure, assuming that Israel would have no choice but to accept US demands. 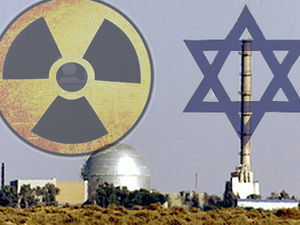 Every high-level meeting or communication repeated the demand for inspection of Dimona. One form of pressure was to deny Ben-Gurion an invitation to the White House – his May 1961 meeting with Kennedy was a low-key affair at the Waldorf Astoria Hotel in New York, and was dominated by this issue. In some ways, Israel was far weaker than is the case today. Before 1967, the IDF was not seen as a formidable power, and the economy depended on massive aid from Diaspora Jewry. If the US government were to impose tax restrictions, the costs would have been very high. Ben-Gurion avoided saying no by dancing around them for two years. But then fate intervened and Kennedy was assassinated probably, in my opinion, because he got in the way of the mob, right-wing Cuban exiles and rogue elements of the CIA. The Israelis were off the hook. Not one of Kennedy’s successors ever even attempted to confront (or even acknowledge) Israel’s nuclear arsenal. For the record, here is JFK’s letter to Ben Gurion demanding inspection of the Dimona nuclear reactor. Was Kennedy our last president with any guts? Don’t bother answering. It is because of our preoccupation with this problem that my Government has sought to arrange with you for periodic visits to Dimona. When we spoke together in May 1961 you said that we might make whatever use we wished of the information resulting from the first visit of American scientists to Dimona and that you would agree to further visits by neutrals as well. I had assumed from Mrs. Meir’s comment that there would be no problem between us on this. We are concerned with the disturbing effects on world stability which would accompany the development of a nuclear weapons capability by Israel. I cannot imagine that the Arabs would refrain from turning to the Soviet Union for assistance if Israel were to develop a nuclear weapons capability – with all the consequences this would hold. But the problem is much larger than its impact on the Middle East. Development of a nuclear weapons capability by Israel would almost certainly lead other larger countries, that have so far refrained from such development, to feel that they must follow suit. I can well appreciate your concern for developments in the UAR. But I see no present or imminent nuclear threat to Israel from there. I am assured that our intelligence on this question is good and that the Egyptians do not presently have any installation comparable to Dimona, nor any facilities potentially capable of nuclear weapons production. But, of course, if you have information that would support a contrary conclusion, I should like to receive it from you through Ambassador Barbour. We have the capacity to check it. Fifty years and I still miss Kennedy, now more than ever.